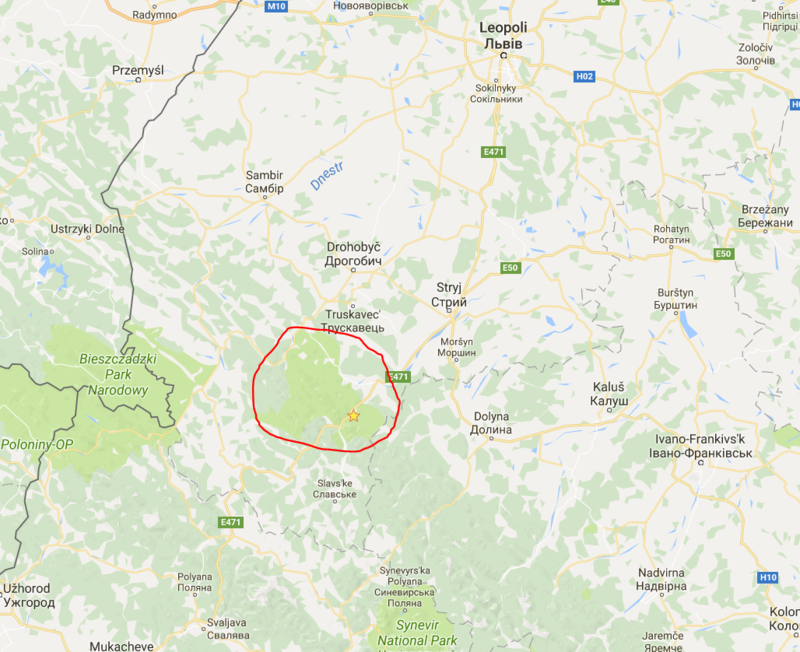 I've just started camping and I was wondering if it's dangerous (dangerous wildlife/people) to camp in western Ukraine (near the Polish border) as I will be there for some days in August. I've been told that it is dangerous. Here is the place I selected, called Skolivski Beskydy National Park. How much is it dangerous to camp there? Thanks. Western Ukraine is generally very safe. The region of Carpathian mountains is very touristy and attracts thousands of campers/hikers from all over the Central and Eastern Europe every year. Please be informed that when it comes to the national parks in Ukraine, you can only camp in the designated areas. This park has an official camping site located near Dubyna village. You just need to leave a bus on the Dubyna stop and follow the signs. The fee is roughly €2 per tent (the latest info I've managed to google). Once in a while, you will see "no camping" signs. Do not camp there or you may face a fine from the police or national parks and woods authority. Other than that, camping in the Carpathians is extremely common and tents can be found everywhere this part of the year, so just try to find a nice spot and if you are going to make a fire, look for constructions made by other campers before and try to re-use them. Also, please clean after yourself. Not the answer you're looking for? Browse other questions tagged camping nature-and-wildlife ukraine or ask your own question. Legal and security issues with wild camping in Ukrainian mountains? Is there native cuisine that is typical for Western Ukraine/Galicia, but not for the rest of Ukraine?